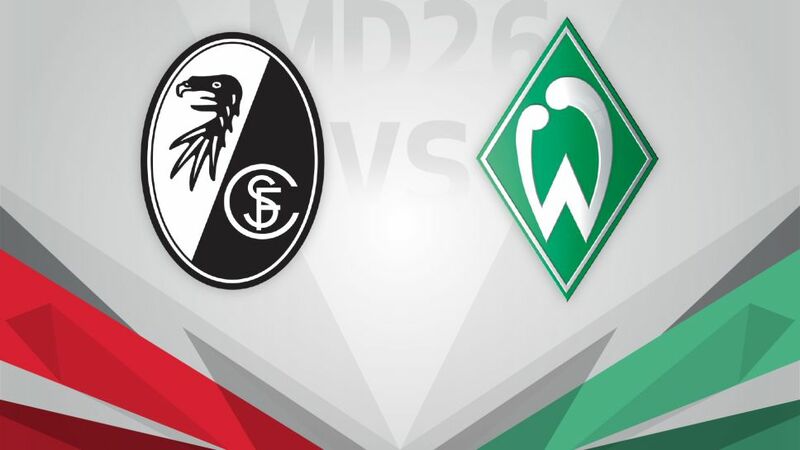 Werder Bremen could continue to push away from the relegation zone if they win at midtable Freiburg on Saturday (kick-off 15:30CEST/14:30BST). Freiburg will be looking for their first home win in three matches, which would mean completing a rare double over the visitors after a 3-1 success in Bremen on Matchday 9. Christian Streich’s team have drawn their past two games but an eighth home victory of the season could potentially see the Black Forest outfit climb to sixth in the standings. Thirteenth is the highest that Werder have been all season but they are second in the form table over the past six matches, having secured an impressive 3-0 win over RB Leipzig last time out. Strength from set pieces has been a feature of their recent recovery and Alexander Nouri’s side have scored from one in each of their past five games. They are still lying only two points above the relegation play-off place, however, so a fourth away win of the campaign would be timely.